Regular Lawn and Turf Maintenance ―And How It Can Contribute to Pest Control. 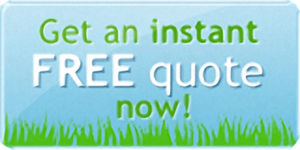 Nobody enjoys the constant irritation that occurs from having a pest control problem. 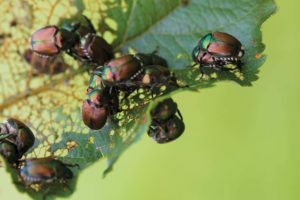 Regardless of the season, in Columbia, MO or anywhere else in the state of Missouri, bugs and pests are out there. The question you need to ask yourself is: what can you do to prevent them from disturbing your living area? Protect against threats from things like lawn disease throughout the year. Allows your lawn to weather through unpredictable climate conditions. Promote lawn growth and repair with things like fertilization and lawn aeration. Keeps your lawn nutrient-rich allowing it to breathe and absorb nutrients and moisture to a much deeper level through fertilization and soil aeration. Grizzly Bear Lawn Care understands the importance of regularly scheduled turf control services. Their certified specialists go through extensive training to learn about lawns, the science behind them and the solutions that are designed to keep them healthy. So it’s up to you: ignore the best practices implemented by Grizzly Bear Lawn care and risk the destruction of your property and need for pest control services; or, create and maintain a rich, beautiful lawn that will prevent the infestation of pests and insects. 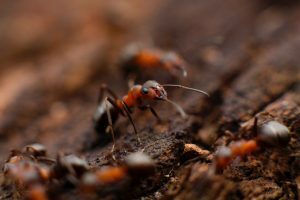 From our years of experience, these are some of the most prevalent pests in Columbia, Mo – but we will eliminate and control any pests you might encounter. There are a few things to look for that are a strong indication that you have an infestation. First and most obvious, if you see nests or hives of insects anywhere that is a sign that there are a lot of pests in the area. Another telling sign that there is a pest issue is evidence of droppings or shell casings. If you see small brown droppings or small reddish shells on the ground, you can bet there are pests on the premises. If you witness either of these occurrences on your property, call a pest control expert immediately. Grizzly Bear Lawn Care employs pest control experts who genuinely treat your lawn and landscape as though it were their own. We know how uncomfortable a pest problem can make things for you and landscape, and we know how to take care of it. Your home and property is likely the biggest investment you will ever make in your life and we know that, which is why we feel so strongly about protecting it. Schedule your pest control assessment today and regain your peace of mind. The choice is clear. Contact Grizzly Bear Lawn Care to schedule your turf control service today.